While Tallinn may not be a cultural metropolis like London, Paris or New York, people here do still like to feed their souls. The town is home to a number of theatres, an opera house, several interesting museums, galleries, and even a couple art-house cinemas. 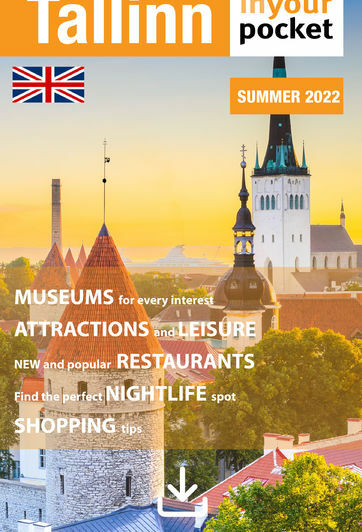 Have a look at all of these events in the PDF version of Tallinn In Your Pocket here. If you are still thirsting for more, an exhaustive calendar of culture is available at www.culture.ee. Tallinn's world-class concert hall, complete with a stunning sound system and high-tech gadgetry. Located in the Solaris Centre, this is the most state of the art cinema in Tallinn. Tickets for evening shows cost €6.81 - 8.09, 3D costs €8.09 - 9.41. Home of the city's most adored troupe. Call the first of the month for the next month's tickets. The famous Dragon gallery holds small, often strange exhibitions in its quaint, Old Town shop. Built in 1910, the Drama Theatre is a striking example of Art Nouveau architecture.